Its October, so naturally that means that spring is here but summer is only around the corner. With the warm weather its instinct really to walk barefoot on the sand, lay in the sunshine and eat ice cream! We can get a little scared with icecream, however, this delicious recipe is rich in protein, free from added sugars and dairy free! As you know, I am a little (ok, maybe a lot) obsessed with plastic free living so these were made in a stainless steel onix – they are amazing, super durable and the steel encourages the insides to freeze faster – talk about a win! In a blender, add the soaked cashews, almond milk, and maple syrup if using. Blend until smooth. Alternate the raspberry mix and cashew mix into the moulds until full. You can blend the two layers together for a little variety. 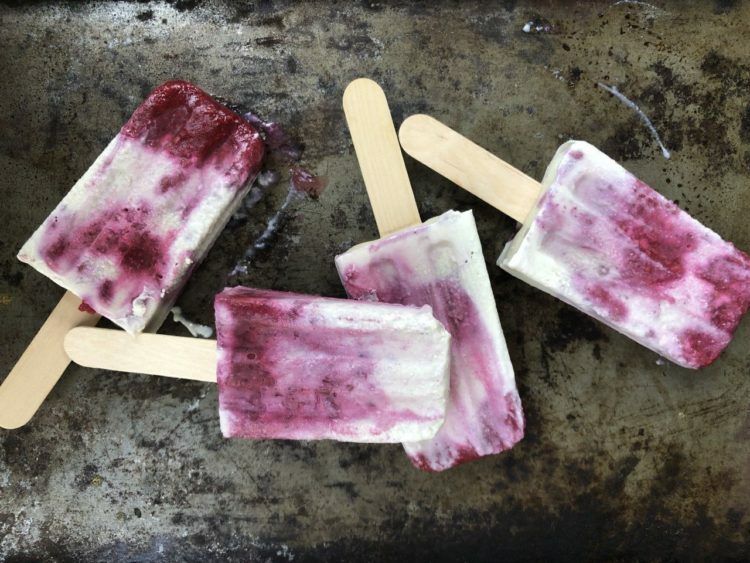 Place in a popsicle stick and place into the freezer until hard.